Mojo rising. I'm traveling to work this morning and whilst I mostly drive, today I'm training it. The modern carriage is quiet. Commuters are seemingly oblivious, incognizant of the environment, each in their own microcosm bubble. I look around. What's diverting their attention away from the world around them? It's become the Zeitgeist of the 21st century, this absorption into that liberating and simultaneously most incarcerating of devices, the smartphone. Don't leave home without it or you'll be naked. Texting. Facebook. YouTube. Daily little morning secrets, personalized and inward. And, we listen to more music than ever. We have easy access to it. Another look around. Eight out of ten wear ear buds, over-ears even… Beats' brew. Countless brands and models, there's a whole new industry resuscitated into ubiquity from a mere niche, proliferating like an unstoppable virus to absolute pervasiveness. What potential for an intelligently conceptualized device to infiltrate a vast universe of private music enjoyment and evolve its mediocrity into excellence. 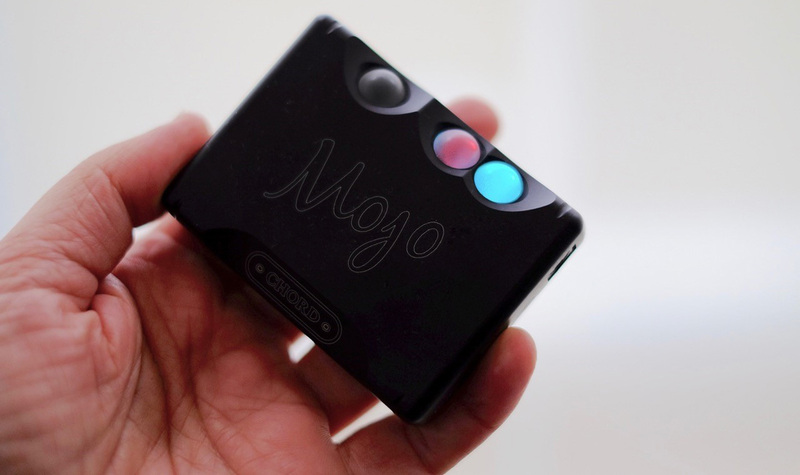 Chord Electronics' astute leader John Franks saw this opportunity and seized it with the launch of Mojo. But Mojo (MObile JOy) is a number of things at once. It's a headphone amp with computer audio connectivity (driverless for Mac, Android and Linux, downloadable driver for Windows via Chord Electronics' website). It's a smartphone integration device via USB socket to whatever flavour of smartphone connector you sport. And it's a high-quality DAC with line outputs for connection to a hifi system.